Child birth is the wonderful phenomenon and is much awaited event in human beings life. The birth of child brings lots of happiness to the family and a sense of completeness in husband and wife relation. As soon as parents or family get to know that there is someone new joining them soon, the next generates the curiosity among people to know whether the child will be a Boy or a girl? Some let this curiosity go over till the baby get born, some try various means like Chinese baby gender prediction chart, some follow : Old wives tales, some do gender prediction test through available medical kits in market and some takes help from an Astrologer. Some people do it for fun and some are more serious towards this query for their personal reasons. So out of all available methods, none of above mentioned proved reliable, most scientific method appears to be astrology and as an astrologer it becomes our duty to try and provide best and correct answer to query removing curiosity and unnecessary tension & anxiety, And so that they become mentally relaxed and more prepared to welcome their child. Also this study will further enrich the knowledge about the topic in available literature. The motive and inspiration behind undertaking this in depth study was an attempt to predict the gender of first child with help of astrology. Here with an objective to find out the is there any particular pattern, trait or characteristics of particular individual or group in terms of planetary combinations and correlations or their effects on certain house or other planets and zodiacs which ultimately leads to birth of a child of specific gender. In order to explore that a descriptive and analytical kind of approach was taken into consideration which involve a deep rooted study on the 52 samples taken as case study. This study throw light on the solutions or concepts which may help astrologers to predict more precisely and scientifically about the gender of first child. Objective of this research was to predict gender of the first child depending on the influence of astrological correlation / combination / pattern made by male and female planets and zodiac signs Limitations • Limitations of this research will be the testing the practicality of golden rules or Concepts or theory developed after this study, as there will be gap of time between predicting the gender of first child and actual delivery of first child also there is uncertainty regarding birth of twins or triplets or abortions etc. • There may be problem that many of our libraries are not able to get copies of old and new Acts/Rules , reports and other government publication in time Delimitations • I confine myself to study the sample size available from different states of India because of vast geography and population of world which is impossible to study, also avoiding cases of couple having twins/ triplets as first child. I would consider ratio of 50:50 sample size of people(couples) who have given birth to a specific gender of child i.e Boy or girl , this means to avoid any kind of biasness Out of total sample size 50% of couples will be those who have given birth to a boy and rest 50% of couple will be those who have given birth to a girl as first child. • Only nine traditional planets the Sun, Moon, Mars, Mercury, Jupiter, Venus, Saturn, Rahu and Ketu have been taken into account in this study This study was delimited to the assessment of 'Lagna Chart' 'Navamsa Chart’, Saptamansha & Dasha . Hypothesis : The gender of the child depends on the influence of benefic planets as well as male or female planets and signs in respect to the below nine points. 1. Fifth House from Lagna in D1 2. Fifth Lord from Lagna in D1 3. Karaka for Progeny – Jupiter placement in D1/D9/D7 chart 4. 5th House/ 5th Lord from Jupiter in D1 5. Fifth House/ 5th Lord from Moon 6. 5H /5L in D9 (Navansha) 7. 5H /5L in D7 ( Saptmansha Chart) 8. Mahadasha of Subject 9. Antardasha of subject. Research Methodology Horoscopes were been scrutinized and for analysis and deriving inferences, it has undergo – tabulation & astrological computation. The present study is based on the rules and principles written in legendary astrology books prevalent in India for predicting the forthcoming incidents in life. On the basis of these fundamental principles to judge the horoscope in connection with houses, zodiac signs, planets, their periods & sub— periods, aspects, exalted and debilitated conditions, their constellations planetary combinations, correlations of planes and respective houses, conjunction of planets, planets position in horoscope, placed in particular sign or in house, planetary movements and strengths situations prevailing as magri, vakri, by avastha & by judgement of special Yoga in Bhava. 'Yoga' in Sanskrit "astrological nomenclature" means special planetary combinations for the promise of birth of child of specific gender .While predicting for the horoscopes of the target groups, the research study has applied and used the same rules from the legendary astrological classical books and ventured to formulate the influence of astrological correlation / combination / pattern made by male and female planets and zodiac signs. For this 52 samples were taken for study. Statistical Representation: Findings & Result of Study: Analysing Fifth house from Lagna in D1 chart D1 Chart- Male planet in 5th House Findings : Male planets are found more in 5th house of D1 Chart in Parents horoscope of First Girl child, but Jupiter was found either in own sign or debilitated in parents of Girl child also Rahu though being a male planet but most of time it support first girl child. Result : Male planet in 5th house of D1 chart does not seem to support hypothesis that placement of Male planet in 5th house cause of producing child of male gender. Findings: Female planets are found more in 5th house of D1 Chart in Parents horoscope of First Boy child, but more of Venus and Saturn were either exalted or were in own sign and combusted also Moon though being a female planet but most of time it support first boy child. Result : Female planet in 5th house of D1 chart does not seem to support hypothesis that Placement of female planet in 5th house cause of producing child of female gender. D1 Chart - Male planet aspects 5th House Findings : Impact of Male planets especially Jupiter’s aspects is found more on 5th house of D1 Chart in Parents horoscope of First Boy child, whereas Jupiter when combined with Rahu supports birth of female child in Parents horoscope of First Girl child . Result : Male planet aspect on 5th house of D1 chart does support hypothesis that aspect of male planet on 5th house cause of producing child of first male gender. D1 Chart- Female planet aspects 5th House D1 chart does support hypothesis that aspect of female planet on 5th house cause of producing child of first female gender. Analysing 5th house lord from Lagna in D1 chart Findings: Female zodiac sign Scorpio and Virgo in fifth house seems supporting Male child whereas Aries and Pisces seems supporting female child also Saturn being a female planet as 5th house sign lord was seem supporting in birth of first male child whereas Jupiter a male planet as 5th house sign lord was seen supporting birth of first female child. Sun and Moon were seen supporting birth of first female child. Result : Male and female zodiac signs of 5th house and male and female planets as 5th house lords of D1 chart does not support hypothesis that they favour of producing child of either first male or female gender. D1 Chart- 5th House sign lord gone in particular Zodiac sign Findings: 5th house sign lord placement in male zodiac sign was found more in boys parents horoscope whereas 5th house sign lord placement in female zodiac sign was found more in girls parents horoscope. Result : Placement of 5th house sign lord in Male zodiac signs support birth of first male child and 5th house sign lord gone in female zodiac sign support birth of first female child and thus it support hypothesis that 5th house sign lord placed in male and female zodiac sign favour of producing child of either first male or female gender. D1 Chart- 5th House sign lord conjunction with planet 5th lord conjunction with Planets in D1 Boys Parents Girls Parents Jupiter 100% 0% Jupiter-C, Sun-D, Mercury-C, Saturn-EC 100% 0% Mars-CO, Venus-C 100% 0% Mercury, Ketu 100% 0% Mercury-C, Venus-CO, Jupiter-C, Sun-D 100% 0% Moon, Mercury 100% 0% Rahu 100% 0% Saturn 100% 0% Sun, Mars-C 100% 0% No Planet conjunction 75% 25% Mars 43% 57% Moon 33% 67% Ketu 25% 75% Jupiter-R 0% 100% Mars-D, Mercury 0% 100% Mercury 0% 100% Mercury-D 0% 100% Saturn, Venus 0% 100% Saturn,Venus-D, Mercury-E 0% 100% Saturn-E 0% 100% Sun, Saturn-C 0% 100% Venus 0% 100% Venus, Ketu 0% 100% Venus-C,Mercury-C,Mars-C 0% 100% Findings : 5th house sign lord conjunction with Male planets like Jupiter, Mars, Mercury, Rahu was witnessed in First Boys Parents horoscope whereas 5th house lord conjunction with female planets like Saturn, Ketu, Venus were found more in First female child parents horoscope. Result : Finding support Hypothesis that states Conjunction of 5th house sign lord with Male planets support birth of first male child and 5th house sign lord conjunction with female planets support birth of first female child. Analysing placement of Jup. in D1/D9/D7 chart Findings :Jupiter placement in different houses of Chart D1/D9/D7 were combined and its placement in particular house does not implies connection with birth of male or female progeny except few houses which were skewed toward particular gender like Jupiter’s placement in 12th and third house indicates female birth first whereas Jupiter’s placement in 6th , 9th and 11th house indicates more male child first. Result : Finding partially support the Hypothesis that states that placement of Jupiter In houses from where it aspects 5th house leads to birth of male progeny first. Analysing Fifth House planets and fifth house from Jupiter in D1 chart Findings : Mercury alone or with combination with Sun or mars if sits in 5th house from Jupiter supports male progeny first and if Venus alone or Sun, Mars , Moon alone sits in 5th house from Jupiter supports first female progeny. Also interestingly if fifth house sign lord from Jupiter is Mercury or any other female planet like moon, Venus then it supports first male progeny and if fifth house sign lord from Jupiter is Saturn or any male planet like Sun, Mars, or Jupiter self supports first female progeny. Result : Finding partially support the Hypothesis that states that placement of Male planets or female planets in 5th house from Jupiter leads to Male or female progeny where as it totally nullifies hypothesis that states that if 5th house sign lord from Jupiter is male planet than one has male progeny first or if 5th house sign lord from Jupiter is female planet than one has female progeny first. Analysing Fifth House planets and fifth house from Moon in D1 chart Findings : Jupiter, Mars, Rahu in combination, Mercury & Saturn-own sign male planets if sits in 5th house from Moon supports male progeny first and if Venus alone or in combination with other female planets, Saturn alone or in combination with other female planets ,Ketu & Sun &Mercury together sits in 5th house from Moon supports first female progeny. Also interestingly if fifth house sign lord from Moon is Sun or any other female planet like Saturn, Venus then it supports first male progeny and if fifth house sign lord from Moon is Jupiter or any male planet like Mars, or Mercury supports first female progeny. Result : Finding partially support the Hypothesis that states that placement of Male planets or female planets in 5th house from Moon leads to Male or female progeny where as it totally nullifies hypothesis that states that if 5th house sign lord from Moon is male planet than one has male progeny first or if 5th house sign lord from Moon is female planet than one has female progeny first. Findings : Mercury alone sitting in 5th house of D9 chart supports first male progeny and Venus and Moon alone sitting in 5th house in D9 chart support first female progeny rest all planets either alone or in combination does not support birth of first male or female progeny. Jupiter in combination with Mars and Sun when aspects 5th house of D9 chart then it support first male progeny and Venus alone or in combination with Ketu and Saturn when aspects 5th house of D9 chart then it support first female birth rest all planet aspects doesn’t affect birth of specific gender. When Jupiter is sign lord of 5th house of D9 chart then it confirms birth of first male progeny rest all sign lords does not affect birth of first male or female progeny. Result : Finding nullifies Hypothesis that states that placement of Male planets or female planets in 5th house of D9 leads to Male or female progeny where as it partially supports the hypothesis that Male & female planet aspect affects first male or female child birth also Jupiter as sign lord of 5th house of D9 chart supports hypothesis that states that if 5th house sign lord in D9 chart is male planet than one has male progeny. Analysing Fifth House planets, aspects on it and 5th lord in D7 chart Findings : Jupiter and moon alone sitting in 5th house of D7 chart supports first male progeny Also interestingly natural benefic planet Venus along with Saturn support first male Progeny, rest all planets are either malefic or making combinations with cruel planets and are supporting female progeny first. Aspects of combination of Male planets on 5th house of D7 supports first male progeny and aspects in combination of female planets supports first female progeny. Again Benefic planets Venus and Jupiter supporting male progeny as they become 5th house sign lords in D7 chart. Rest other planets natural malefic along with combust planets support first female progeny. Result : Finding supports Hypothesis that states that placement of natural benefic planets in 5th house of D7 or when natural benefic becomes 5th house sign lord in D7 leads to first Male progeny and natural malefic planet in 5th house of D7 & Natural malefic becomes sign lord of D7 leads female progeny also it supports the hypothesis that Male & female planet aspect affects first male or female child birth Analysing Mahadasha, antardasha & pratyantar dasha of Planets at time of child birth Findings : Mahadasha-Antardasha-Pratyantar dasha of planets like Sun, Jupiter, Ketu & Moon Leads to birth of first male progeny whereas dasha of Mercury,Venus, Rahu , Saturn and Mars leads to birth of first female progeny. Result : Finding supports Hypothesis that states that Dasha of male planets like Sun & Jupiter supports birth of first male progeny and Dasha of female planets Venus & Saturn supports birth of first female progeny . Conclusions From this study it is witnessed that by studying astrological patterns of particular individual or group thoroughly we can predict birth of a child of specific gender. 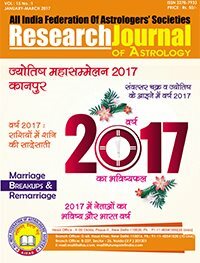 Certain planets, their aspects, their conjunctions, their co-relations with fifth house of progeny ,certain mahadasha and antardasha help us to predict gender of first child For predicting birth of Male child if horoscope of an individual should agree on at least seven points mentioned below. • Male planet aspect on 5th house of D1 chart • Placement of 5th house sign lord in Male zodiac signs in D1 chart • Conjunction of 5th house sign lord with Male planets in D1 chart • Male planets in 5th house from Jupiter in D1 chart • Male planets in 5th house from Moon in D1chart • Male planet aspect fifth house in D9 chart • Jupiter as sign lord of 5th house of D9 chart • Placement of natural benefic planets in 5th house of D7 or when natural benefic becomes 5th house sign lord in D7 • Dasha of male planets like Sun & Jupiter is running at time of expected childbirth For predicting birth of female child if horoscope of an individual should agree on at least seven points mentioned below. • Female planet aspect on 5th house of D1 chart • Placement of 5th house sign lord in Female zodiac signs in D1 chart • Conjunction of 5th house sign lord with female planets in D1 chart • Female planets in 5th house from Jupiter in D1 chart • Female planets in 5th house from Moon in D1chart • Female planet aspect fifth house in D9 chart • Female planet as sign lord of 5th house of D9 chart • Placement of natural malefic planets in 5th house of D7 or when natural malefic becomes 5th house sign lord in D7 • Dasha of male planets like Venus & Saturn is running at time of expected child birth. Thus by analysing the above two examples of two different couples basis above given parameters we can prove that “Yes” certain astronomical combinations & co-relations of different planets their influence and power can influence the birth of a child of a particular gender. Also representing certain characteristics or traits which an individual have and their probability of delivering a child of particular gender. Though the birth of child and its gender is in hands of GOD, but the same God has blessed us with the wonderful knowledge of astrology from where we can get his hints. This issue of Research Journal has been made in the form of souvenir meant for the astrological seminar Kanpur. This issue is especially concern with the astrological study of the coming year 2017. The issue contains many specialize articles on this subject related to nativity and mundane issues. Besides these articles there are various research article as well which have been written by research students of Astrology under Mewar University. The most prominent among those articles are: Marriage Breakups and Remarriage, Predicting the Gender of First Child Astrologically, Padas in Jaimini Astrology, Retrograde Planets.. Unrevealed etc. 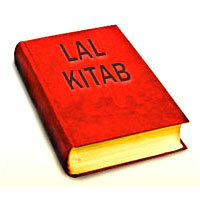 There are many articles for the readers of hindi language as well.